In one of his recent Netflix specials, the comedian told a story about a rapper getting him so high he couldn’t perform. Haven't seen Dave new special but heard he gotta bit about that night I got him stoned to the gills ... momma I made it!!! Last week, Dave Chappelle released his first new stand up specials in more than 10 years on Netflix. In the first of the two specials, The Age of Spin, filmed in Los Angeles last year, Chappelle starts off the show by telling a story about bombing a 2015 performance in Detroit. 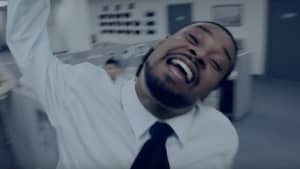 Apparently, the rapper who got Chappelle too high to perform was none other than Detroit's own Danny Brown. In an Instagram post on Monday, Brown wrote, "Haven't seen Dave new special but heard he gotta bit about that night I got him stoned to the gills ... momma I made it!" Brown also posted a teaser video for a mysterious collaboration with Jonah Hill, which he said will go live on Tuesday at 5 p.m. est. Watch a preview below.